“I recommend Better, Sutton Sports Village to Local Mums. �They are brilliant, they do a drop-in parent and child class so you can try before you sign up." “I highly recommend�Better, Sutton Sports Village�to Local Mums. My daughter�Lily loves it at there. Bernie, the teacher, is fab and she does the after school gymnastics at our school too." Better, Sutton Sports Village also hosts children’s birthday parties and holiday camps. �For the grown-ups there is a fantastic new gym as well as Sutton Sports Physio Clinic, plus adult tennis, dance and gymnastics classes. 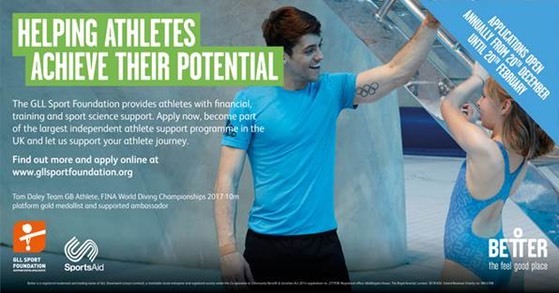 Better, Sutton Sports Village�is a charitable social enterprise, meaning profits are re-invested, and it also supports the GLL Sports Foundation, providing funding to local athletes enabling them to achieve their professional aspirations. 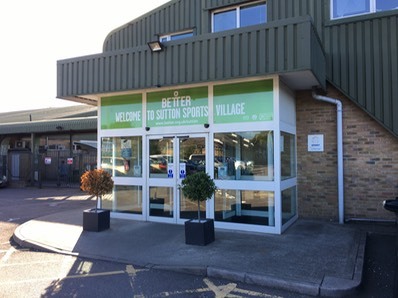 Better, Sutton Sports Village�aims to create a sound basis for a healthy active lifestyle and to allow people of all ages and abilities to fulfil their sporting potential. The extensive facilities and experienced teaching staff aim to instruct and support all levels of players and their interests and to provide a pathway for their natural development, whatever that may be. The launch of our 2018 GSF Application. As a charitable social enterprise we pride ourselves on not only ploughing profits back into improving our facilities for the benefit of the whole community, but by supporting grass roots sportspeople enabling them to achieve their full potential. This could be in kind through training and free access to our gyms and also through monetary support to help pay towards transport to training and competitions or much-needed equipment. If you know a local sportsperson who would benefit from GSF funding, please share the details on how to apply along with the deadline of 20th�February 2018. In 2017 GSF supported 21 athletes at Better Sutton Sports through the scheme who were chosen from a large number of applications. As a renowned tennis centre, these were largely tennis players but also included a pole vaulter and 400m runner. It’s open to athletes of any age and last year, Edwina Brocklesby from Lambeth, was our oldest recipient aged 74. Edwina regularly competes in Triathlons and is the oldest British Ironman.